Ships tomorrow if you order in the next 19 hours 17 minutes. Auto Ship & Earn + 148 Points What's this? The human body needs a number of essential fatty acids to function properly. While a number of them can be found in foods, such as oily fish like tuna, mackerel, and halibut, many people don't include enough fish in their daily diets. 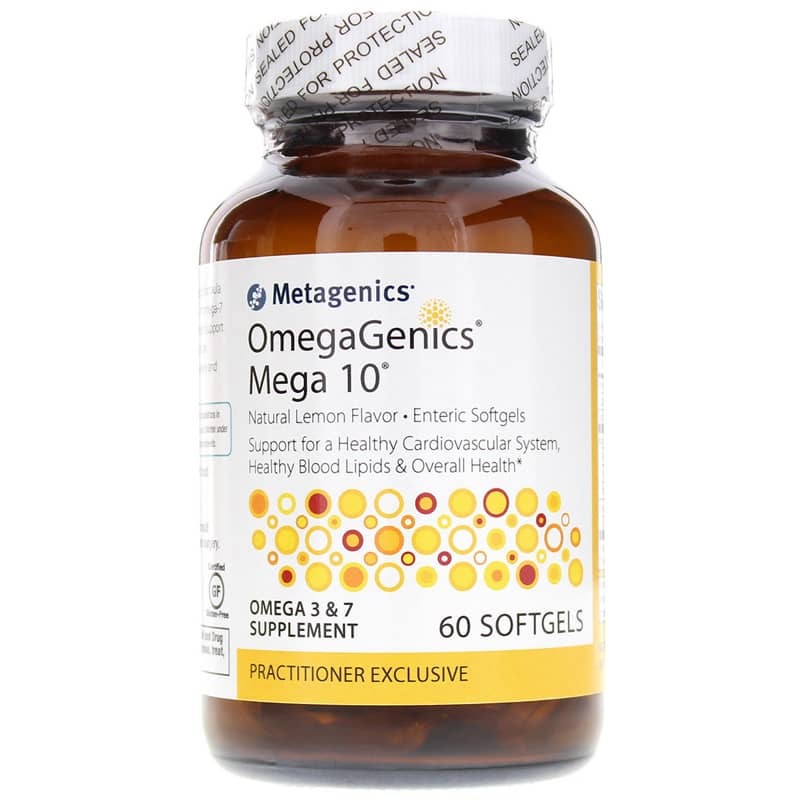 OmegaGenics Mega 10 7+3 Combination from Metagenics delivers a powerful combination of omega-3 and omega-7 fatty acids to help you maintain optimal cardiovascular system health. 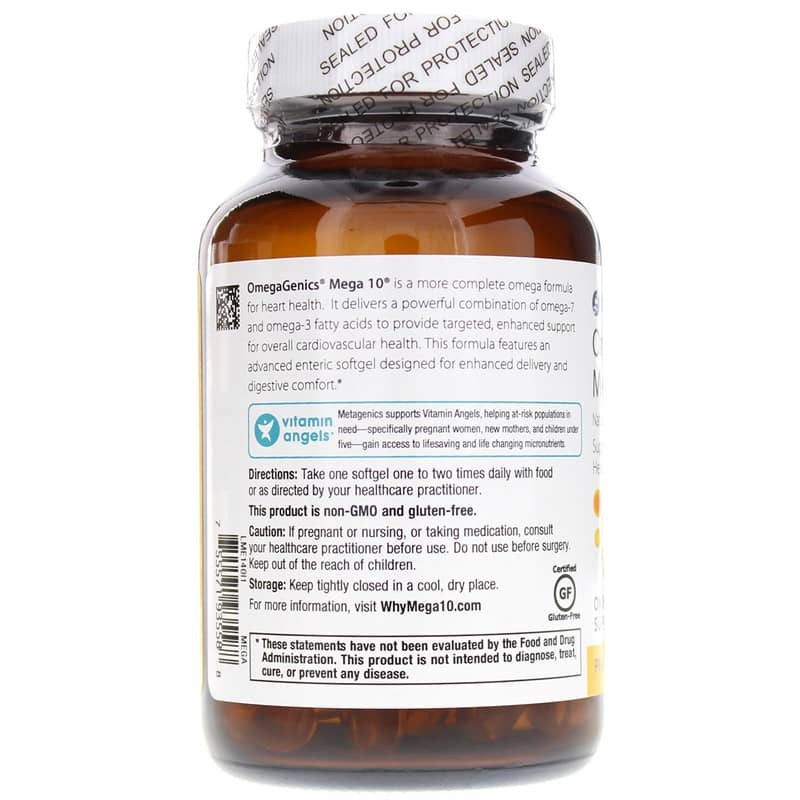 OmegaGenics Mega 10 contains over six times more EPA and DHA than regular krill oil, and it comes in an easy-to-swallow, enteric-coated softgel. It comes in a great-tasting natural lemon flavor that you'll love. Maintain your health with a combination of essential fatty acids. Give OmegaGenics Mega 10 7+3 Combination from Metagenics a try today! 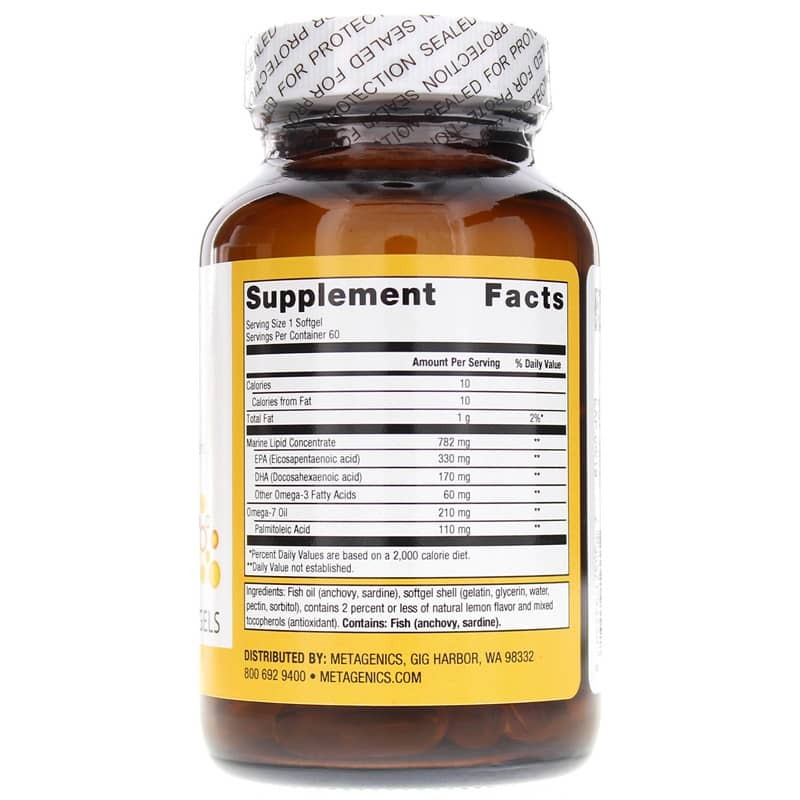 Ingredients: Fish oil (anchovy, sardine), softgel shell (gelatin, glycerin, water), contains 2 percent of less of natural lemon flavor, and mixed tocopherols (antioxidant). Contains: fish (anchovy, sardine). Adults: Take one softgel one to two times daily with food or as directed by your healthcare practitioner. My functional medicine doctor first recommended this brand. I have no complaints and feel it is a high quality product.